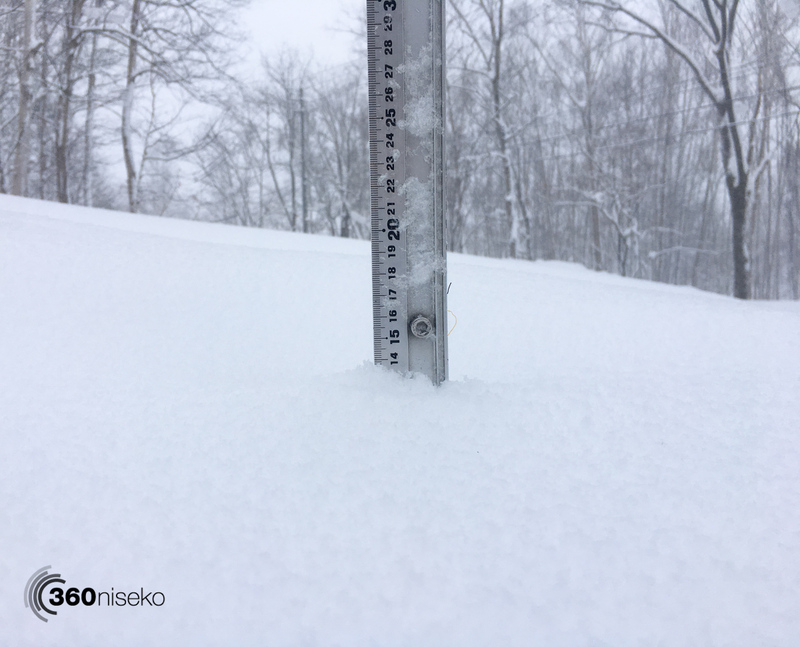 *13.5cm has fallen in the last 24 hours in Niseko. At 7:15 today the temperature was -2°C. The snow is back! Looks like most of the snowfall occurred during the day with only 4cm coming down overnight. Probably not enough for a full reset up will defiantly make conditions much much better up there. 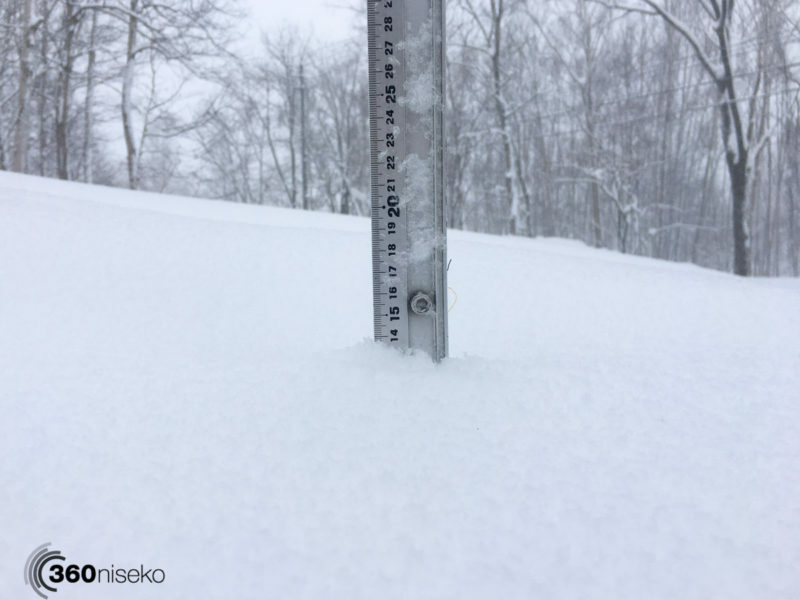 We do have some significant wind today but hopefully the upper lifts will operate. There will be deep wind blown powder stashes up for grabs but overall the conditions will be variable so take care out there. Have fun!